MPA takes construction and workplace safety very seriously. MPA has developed a Health and Safety Program that has been awarded a Certificate of Recognition (CoR). 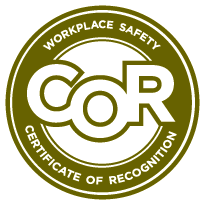 This certification is awarded to employers that have developed a Health and Safety Program that is in line with provincial safety standards set forth by Occupational Health and Safety (OH&S). 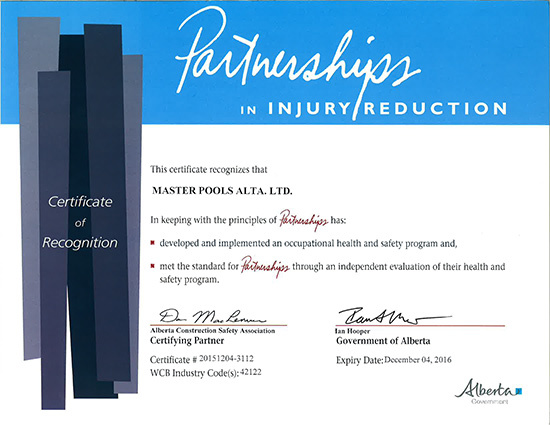 MPA is proud to be part of the safety culture recognized by Alberta OH&S and CoR. Copyright © 2019 Master Pools Alta. All rights reserved.